Andre Villas-Boas insists the 3-1 defeat at Manchester United will not have a detrimental effect on Chelsea's Premier League title chances. Both managers admitted it was 'a crazy game', with Wayne Rooney slipping as he took a penalty and Fernando Torres missing a sitter, after scoring a second-half goal. Ultimately though, Chelsea were undone by conceding three goals in an opening period they otherwise controlled. 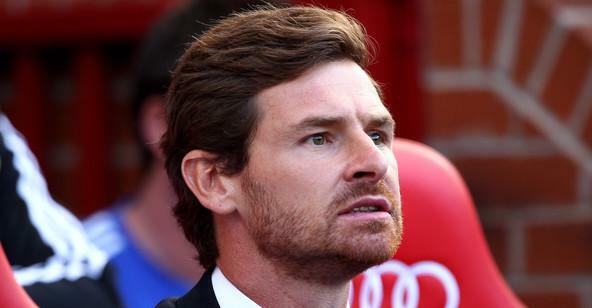 So, while Villas-Boas was disappointed with the result, he does not feel it has any impact on the league itself. "As I said before, nothing that happened would mean anything in the Premier League table," said Villas-Boas. "It is an unexpected league. Manchester City have the most amazing squad as well, but they didn't win. Arsenal and Liverpool lost. All of the five contenders are there. Anything can happen. The most regular is United at the moment but we showed we are up to the level of the champions."